More than 1,700 staff at high street retailer The Entertainer are to share a record £3 million in bonuses after the group notched up a 31% surge in annual profits. A collection of vintage toys, dating as far back as the late 1800s, will go on display at a north-east venue. 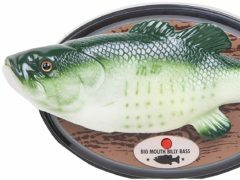 Big Mouth Billy Bass is back with a 2018 twist enlisting Alexa in time for Christmas. 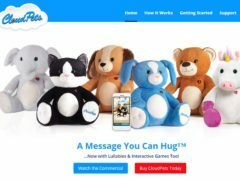 A range of smart, connected cuddly toys have been removed from sale by some retailers after warnings from cyber-security experts of vulnerabilities in the toys. Smyths Toys Superstores are having a party! Two boys are to launch a treasure hunt for children to enjoy across the north-east as part of a challenge to have 500 adventures in a year. One little girl has spread festive cheer this Christmas – by asking Santa to give her presents to children in hospital. A popular visitor attraction will be closed for a day to make way for the arrival of hundreds of vintage toys. Boys are almost three times as likely as girls to receive science and maths toys this Christmas, the Institution of Engineering and Technology has said. Star Wars, Lego and Nerf blasters are among the predicted top selling toys this Christmas, according to some of the UK’s biggest retailers. CHARITY bosses today thanked kind-hearted North-east folk who donated thousands of items to an annual appeal.